Please select the program or programs you are interested in. If you are unsure which program is best for you, don’t worry, just select the last box and we can discuss all your options during the Get Acquainted call. 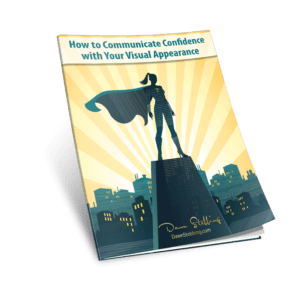 Introduction to Executive Presence First Impressions Body Language Working a Room Virtual Communication Business Dress I’m not sure. Let’s talk! For corporate executive training please add relevant details like no. of employees, new hire, management, C-suite level training etc. What obstacles, challenges or struggles do you regularly come up against in your business or profession? What have you done to deal with these challenges? What’s worked? What hasn’t? What have they cost you over time, in terms of money, time, missed opportunities? How would achieving this make a difference in your professional and/or personal life? Assuming the fit is right, are you emotionally and financially prepared to invest in consulting services? Dawn Stebbing knows how to access and work a crowd when it comes to changing our images. Knowledgeable, prepared, entertaining and fun. I encourage any organization that wants to improve the images of their employees to hire Dawn for their next event.